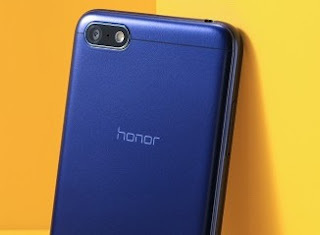 Honor, the sub-brand of Huawei, today launched its most feature packed, affordable smartphone Honor 7S at INR 6999 through a creative launch video, posted on the brands YouTube page https://www.youtube.com/watch?v=7-RlOL9IK78. The Honor 7S was launched by Mr. P Sanjeev, Vice President Sales, Huawei India-Consumer Business Group & Mr. Ajay Veer Yadav, Vice President, Mobiles and Large Appliances, Flipkart. It will be exclusively available on Flipkart starting 14thSeptember 2018 in three colour variants Gold, Blue and Black. A bigger view with a comfort grip, makes the Honor 7S an easy to use single hand device. It featuressmart face unlock which detects the user’s face instantly, whether you hold your phone in landscape, portrait or at any angle.